I am a self confessed candle addict, I love the thrill of purchasing a new, fresh smelling gem that is awaiting to be burnt. 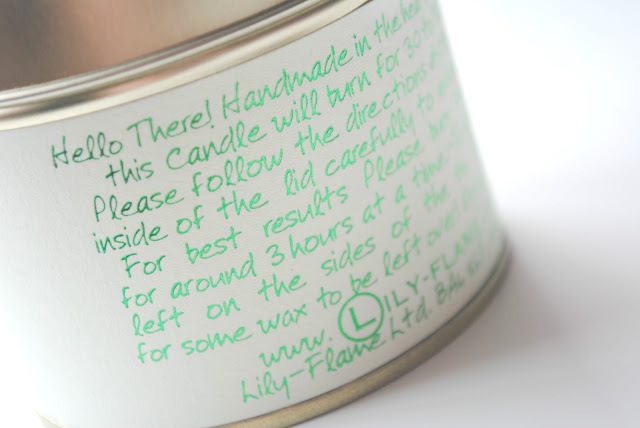 On a recent trip I came across the Lily Flame candle company a brand I had never heard of. My instant attraction to the candle apart from it's scent was the tin and the small embedded triangular shaped green and white chunks of candle which gives it extra character and a unique feel.The candle range has a varied amount of scents and colours and each candle retails at £8.50 which I think is pretty reasonable for a hand made candle. 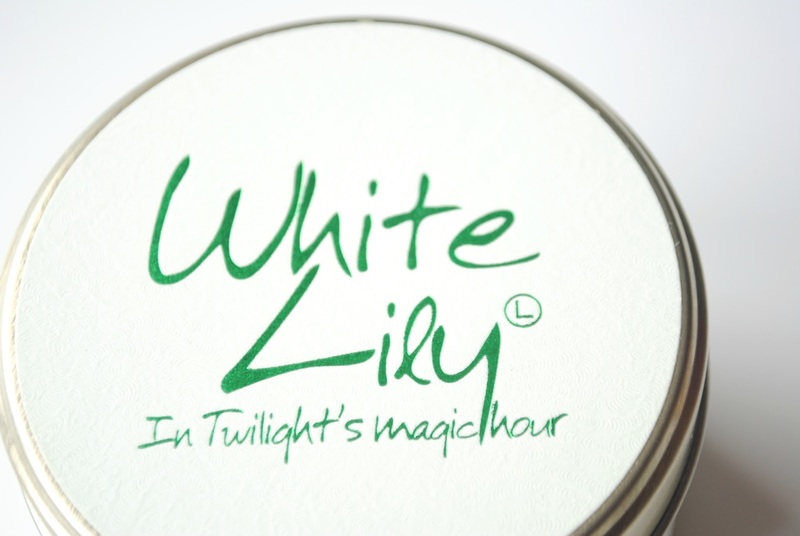 The company originates from Somerset and has been running since 1994. Since taking the photos above I have tried the candle and I absolutely adore it . The coloured candle chunks melt into the centre of the candle partly changing the colour. 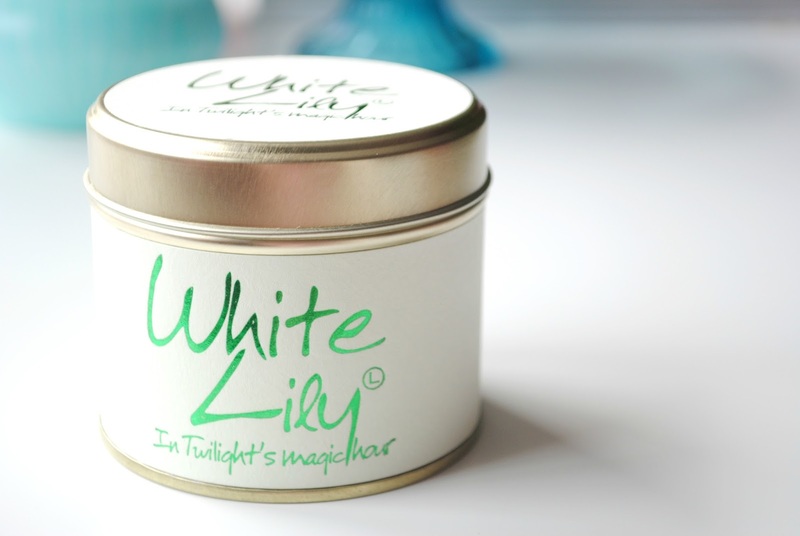 The range of Lily frame candles is quite large and there are many different scents. You can check out their complete range HERE . 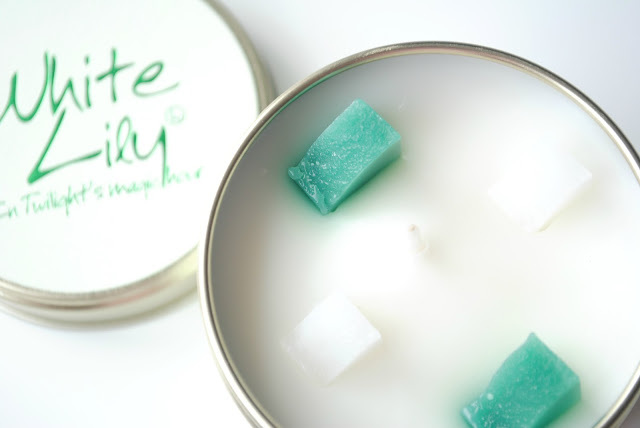 Do you have a favourite candle brand ?